On April 11-12, 2019, the third meeting of Coordinative Commission on water resources between Turkmenistan and the Islamic Republic of Afghanistan was held in the “Archabil” hotel of Ashgabat city. Two previous sittings have been successfully held in Ashgabat and Kabul. The main goal of the session was to consider and discuss the wide scope of issues related to the development and strengthening of trans-border cooperation on water issues between Turkmenistan and the Islamic Republic of Afghanistan. 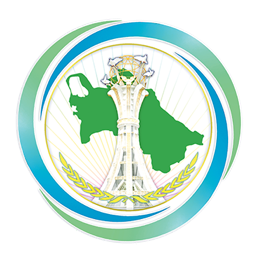 The representatives of the State Committee for Water Resources, Ministry of Foreign Affairs, “Garagumderyasuwhojalyk” Association, as well as the Associations on water resources of Ahal, Lebap and Mary provinces participated at the meeting. The delegation of Afghanistan was composed of the key officials and leading specialists of the Ministry of Energy and Water Resources, Department of Geodesy and Cartography of the Ministry of Urban Development and Housing, as well as the Ministry of Foreign Affairs. The active and constructive negotiations were held on further development of interagency cooperation in the sphere of joint usage of trans-boundary water resources governed by the norms and principles of international law and based on mutual consideration of the parties’ interests. Upon completion of the meeting, the ceremony of signing the Protocol of current session was held.